1.8 billion people will use digital assistants (like Amazon’s Alexa) by 20211O’Shea, Dan. Grocers bring voice-assisted ordering to the store. Retail Dive. September 21, 2017. Voice-driven purchases will explode from $2 billion today to $40 billion by 20222 Jones, Charisse. Alexa, I need … everything. Voice shopping sales could reach $40 billion by 2022. USA Today. February 28, 2018. Voice searches will account for half of all Internet searches within three years3 O’Shea, Dan. Grocers bring voice-assisted ordering to the store. Retail Dive. September 21, 2017. Voice technology is intensifying the battle between retail goliaths Amazon and Walmart; meanwhile, Apple’s HomePod is popular among music lovers rather than voice shoppers. Amazon dominates voice-enabled speaker devices for homes (rather than smartphones), accounting for 70% of the U.S. smart-speaker market.4 Chaudhuri, Saabira and Share Terlep. The Next Big Threat to Consumer Brands (Yes, Amazon’s Behind It). The Wall Street Journal. February 27, 2018. To fuel market penetration of its voice technology, Amazon used last July’s Prime Day to offer $10 discounts and reduce the price of Echo devices by 50%. As a result, Echo devices sold at a rate of “thousands per minute,” seven times more than Prime Day 2016.5Mroz, Bart. Voice Shopping Gets Real as Major Players Ramp Up the Competition. Multichannel Merchant. October 2, 2017. Here’s why Amazon’s Alexa-driven Echo is on track to earn $10 billion by 2020: Consumers could install 128 million Echo devices by then, spending $400 per consumer per year on voice shopping.6Ibid. Voice is a lucrative, growing space. Strategic priority: Last month, Amazon aired a memorable Super Bowl ad featuring cameos by celebrities and CEO Jeff Bezos to boost awareness and sales. After 2017 Alexa sales exceeded expectations, Amazon announced it would “double down” on investments in the popular voice technology.7 Levy, Ari. Bezos says Amazon will ‘double down’ on Alexa after blowing past projections. CNBC. February 1, 2018. Voice technology gives Amazon a competitive edge. Bain & Co. found that among customers making a first-time purchase without specifying a brand, over half of the time Alexa first recommended a product from the “Amazon’s Choice” algorithm, which reflects well-rated, well-priced item shipped by Amazon Prime. When Amazon has a private brand in a particular category, 17% of the time Alexa recommends the private label product first (even though the private label products account for only 2% of volume sales).8Chaudhuri, Saabira and Share Terlep. The Next Big Threat to Consumer Brands (Yes, Amazon’s Behind It). The Wall Street Journal. February 27, 2018. Beyond Amazon’s private label advantage, consumers can use voice ordering to buy Whole Foods groceries and request delivery to their home in one or two hours via Amazon Prime. Voice matters in grocery because 56% of consumers who shop for groceries online either already use a voice-controlled smart speaker or plan to purchase one within the next six months.9 Martin, Chuck. Online Grocery Shoppers Drawn To Smart Speakers. MediaPost. January 4, 2018. That explains why last November, more than 100 Whole Foods stores sold Amazon speaker devices in time for the holiday sales season.10 Wallerton, Megan. You can now buy Amazon Alexa speakers at Whole Foods. CNET. November 9, 2017. To accelerate adoption of Google Home devices, Walmart offered a deal to customers of $25 off a Walmart order when they buy a device and link their Walmart account to Google’s online shopping platform, Google Express.11 Pandolph, Stephanie. Walmart debuts voice shopping on the Google Home. Business Insider. October 6, 2017. Integrating Google Express and Google Home with Walmart’s Easy Reorder makes repeat orders more attractive and streamlined, much like Amazon’s one-click ordering and Amazon Dash buttons.12Ibid. At the moment, brands lack the option to use paid search to stand out on voice technology. In response, many consumer packaged goods (CPG) leaders are turning to content marketing to entice consumers. 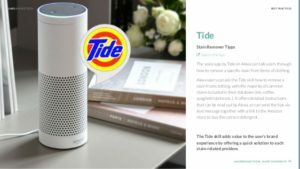 P&G developed a Tide-branded Alexa app to share advice on how to clean over 200 stains, and Unilever developed Alexa apps to share free recipes and cleaning tips.13 Chaudhuri, Saabira and Share Terlep. The Next Big Threat to Consumer Brands (Yes, Amazon’s Behind It). The Wall Street Journal. February 27, 2018. 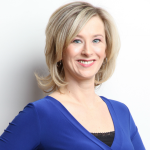 To help small and independent retailers stay relevant, solution providers offer shopping platforms with voice-order capabilities that work with a retailer’s website or mobile app for a personalized, voice-driven customer experience.14 O’Shea, Dan. Grocers bring voice-assisted ordering to the store. Retail Dive. September 21, 2017. To ease into the habit of making voice assistants part of their lifestyle, consumers use smart speakers to listen to music, check the news and weather – and buy products.15 Koetsier, John. 22% Of Amazon Echo And Google Home Owners Shop By Voice; Sales Doubled In 2017.Forbes. January 9, 2018. Among voice assistant consumers, 22% shop using voice commands, including reorders and shopping lists.16Ibid. 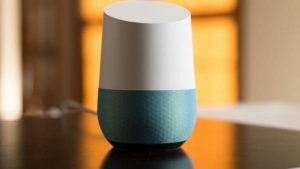 That figure will grow, as Capgemini found nearly 25% percent of respondents would prefer using a voice assistant to shop rather than a website; within the next three years, it is predicted to jump to 40%. Those consumers will spend 18% of their total expenses using voice assistants in the next three years, up from 3% today.17 Chaudhuri, Saabira and Share Terlep. The Next Big Threat to Consumer Brands (Yes, Amazon’s Behind It). The Wall Street Journal. February 27, 2018.18 Thomas, Lauren. eBay CEO: Get used to shopping with your voice. CNBC. January 23, 2018. Do you have a voice-activated device? If so, have you used it to shop?